Fantasista Utamaro had a feeling that he saw things differently from other people, so he went to a doctor to have his eyes checked. Utamaro was right; he did indeed see things differently from other people because, as his doctor informed him, he is colorblind. His inability to distinguish colors didn’t stop the Japanese native from becoming an artist. In fact, the Brooklyn-based Utamaro, who shares a name with famed ukiyo-e master Kitagawa Utamaro, is a visual artist, animation director, illustrator, graphic designer, textile pattern artist, and art director. 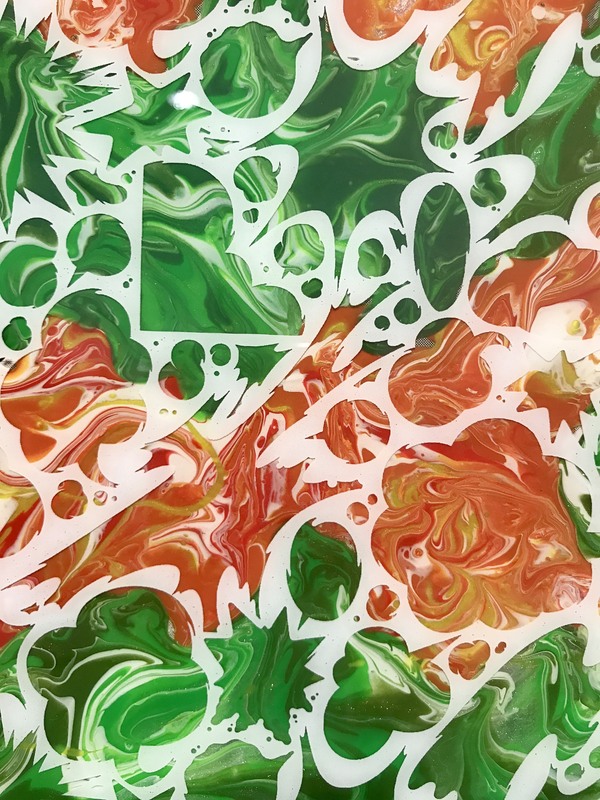 The young entrepreneur does all of these things without knowing the difference between green and orange. 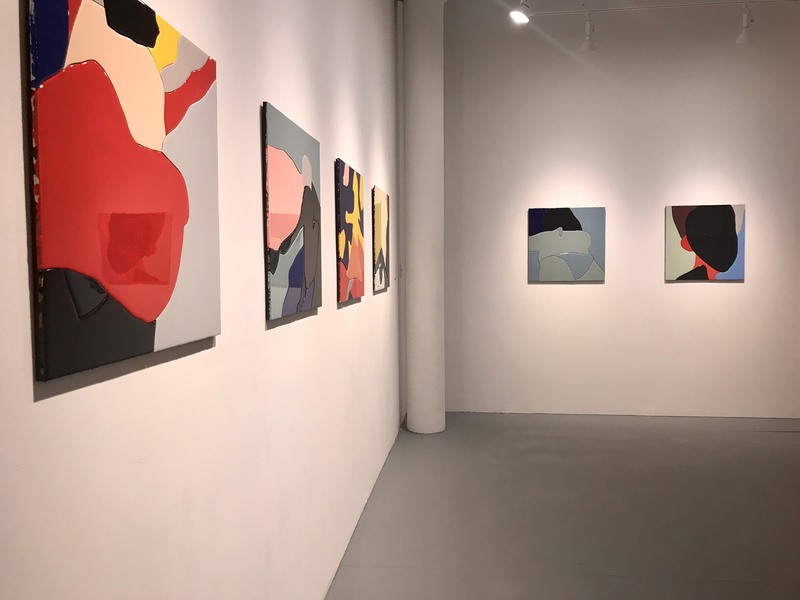 He currently happens to be exhibiting those colors and a few more in the exhibition Love & Obsession, sharing the space at hpgrp GALLERY NEW YORK with fellow Japanese artist Tadahiro Gunji. 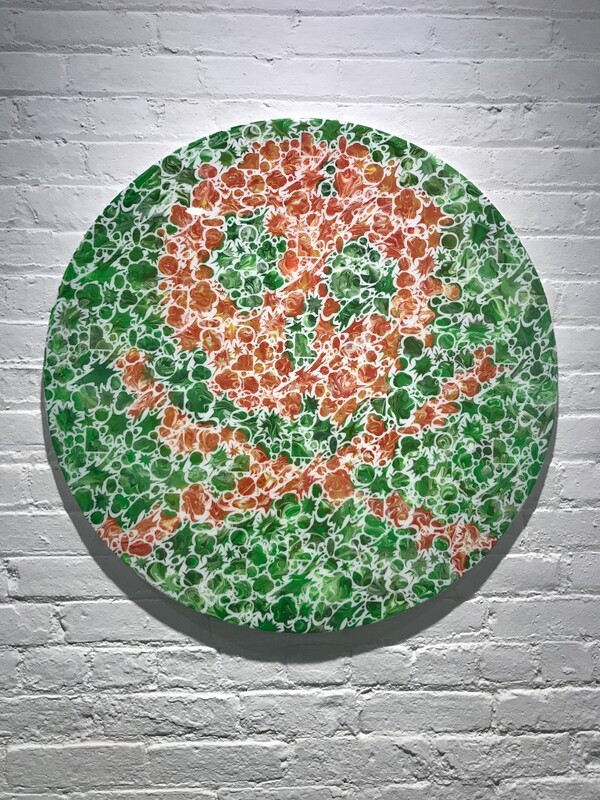 Five pieces featuring a skull-and-crossbones motif from Utamaro’s COLORBLIND SERIES occupy one wall of the gallery. Taking a closer look at the works, you will notice shades of color swirling underneath manga-style thought bubbles thickly outlined in black or white. Utamaro may not be able to discern color, but he can see shades, which he uses to his advantage in this series. 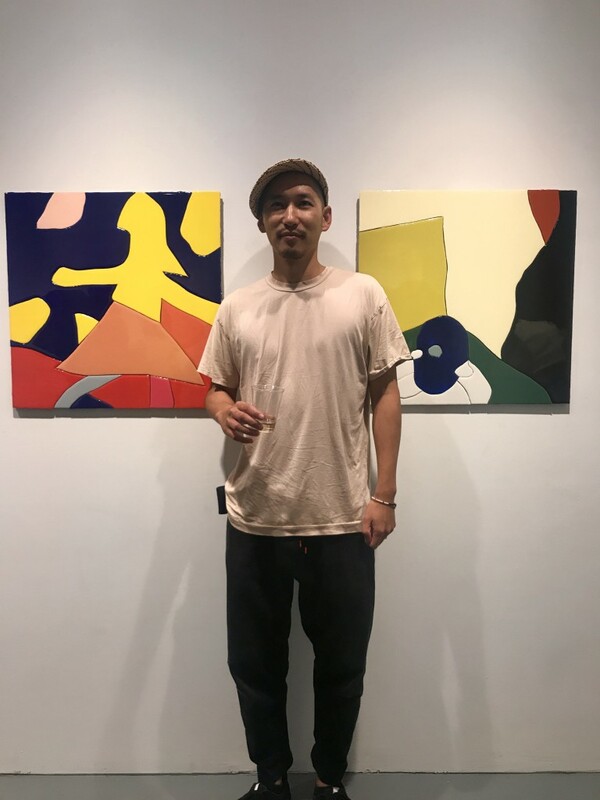 Across the gallery from Utamaro’s colorblind skulls are the works of Tadahiro Gunji, which are equally vibrant in color and form. In 2012 Gunji established the creative collective Posthyphen, combining technology and design, finding a contemporary language that he interprets into graphics, motion, interactive, and other visual executions. 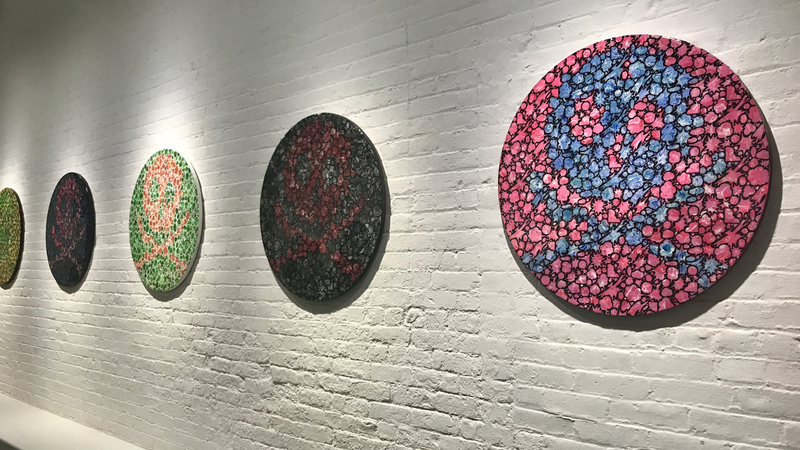 Gunji moved to New York with his wife and children only two months ago and spent one month continuing his Collectivity Series for this exhibition. 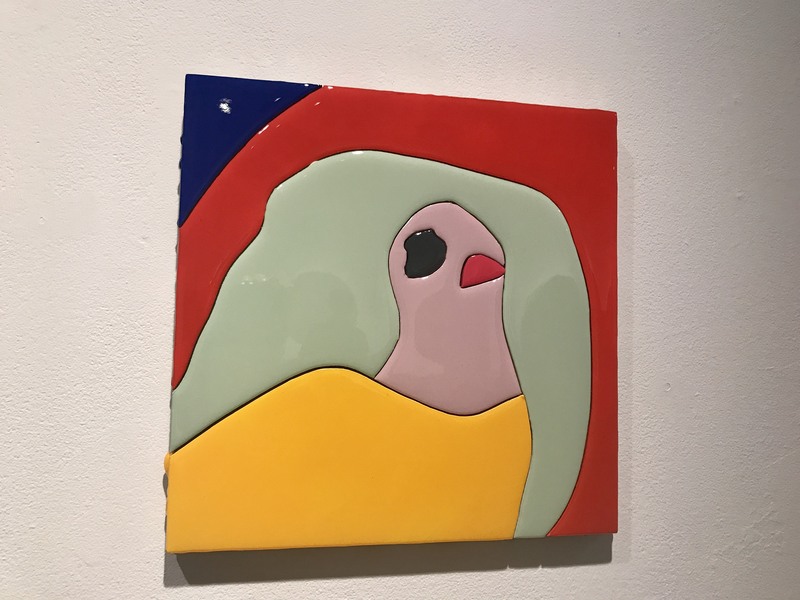 One of his sons contributed to this series, drawing the yellow bird in Collectivity 028. It’s unclear which part of the exhibition is Love and which one is Obsession. Is it love of color and obsession with form? Or the other way around? Regardless of how you see it, you’re probably seeing it differently than each artist. And that’s just fine with them. 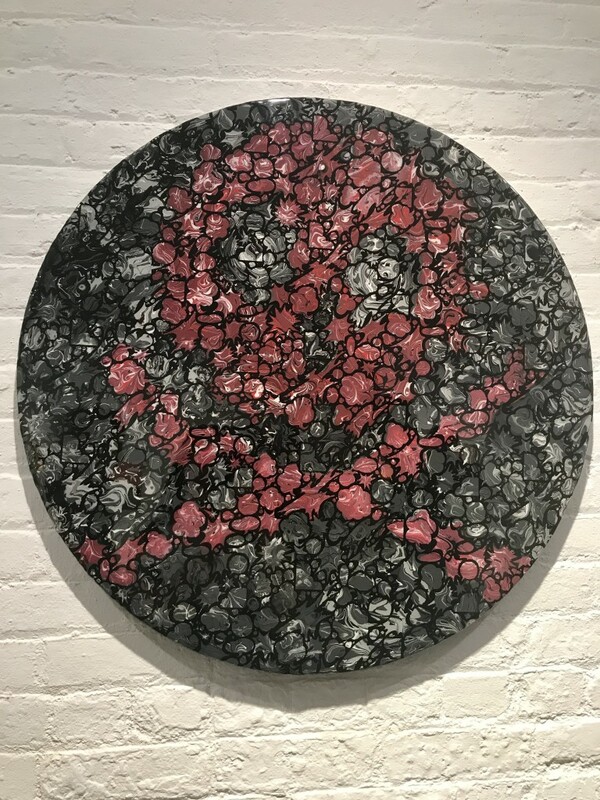 Love & Obsession: Tadahiro Gunji / Fantasista Utamaro runs through Friday, September 8 at hpgrp GALLERY NEW YORK, located at 433 Greenwich Street. Gallery hours are Tuesday through Saturday from 11:00 a.m. until 6:00 p.m. or by appointment. For more information, please visit hpgrp GALLERY NEW YORK’s website.